Balancing nutrition, fitness, and life. 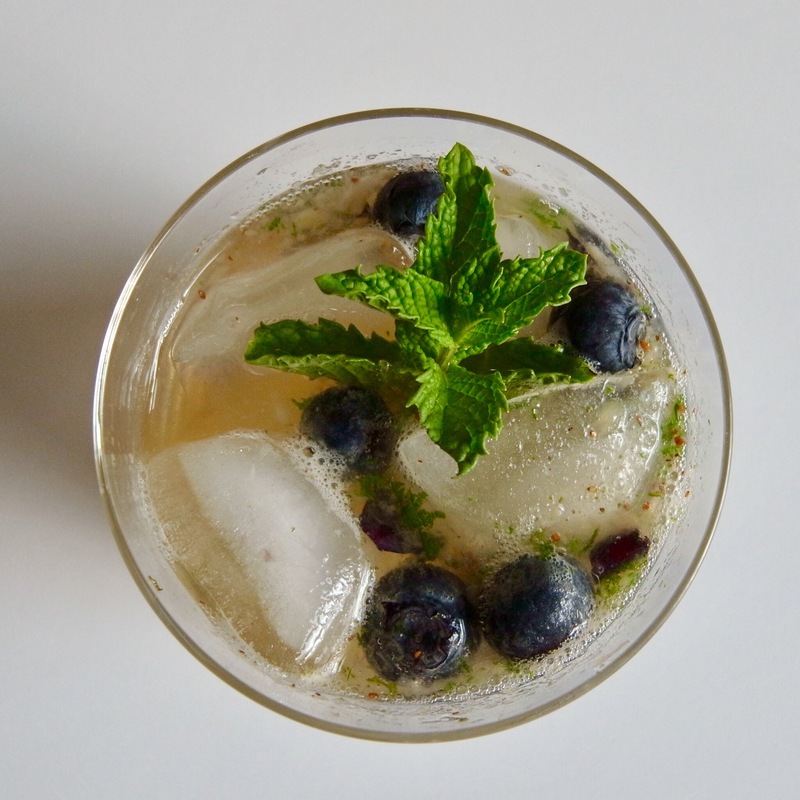 I’ve been trying out some new healthier drink recipes lately (partly for work and partly for me) and even though I love to drink kombucha, I never really thought to put it in a cocktail. And apparently I’m a bit slow to the party because other people have been doing this for a few years now. And of course kombucha makes a good mixer/base – it is bubbly, sour, tangy, and delicious. Oh well, at least I caught the train – even if it’s the end. Kombucha is a feremented tea beverage and although not thoroughly or independently studied for it’s health benefits, many people have claimed improved gut health and healthier and happier intestinal microbiota. It does have live cultures but exactly which can vary from brew to brew – especially when brewed at home. If you’re interested in learning more about kombucha in a nut shell, I highly recommend the Kombucha Culture episode of Gastropod. There are so many different flavors of kombucha available in stores that you can fnd almost any base flavor you want or need. For this time around, I picked a classic citrus (you could use a lime too), honeydew (because it just has a nice lightly sweet base flavor but doesn’t overpower when you add other ingredients), and strawberry (because it’s probably my current favorite kombucha flavor at the moment). You could also totally add some spirits to these, but for a refreshing work-night drink I’m keeping then virgin. And just in time for summer grilling! The first is a blueberry mojito. Although I made these by the glass, you could also easily make a larger pitcher. Muddle the mint leaves and sugar in the bottom of a glass. The grit of the sugar will help in the process of tearing up and bruising the leaves as well as extracting the essential oils. Add most of the berries and continue muddling. Top with ice and pour in the kombucha. Give a little stir with a spoon to mix the contents. 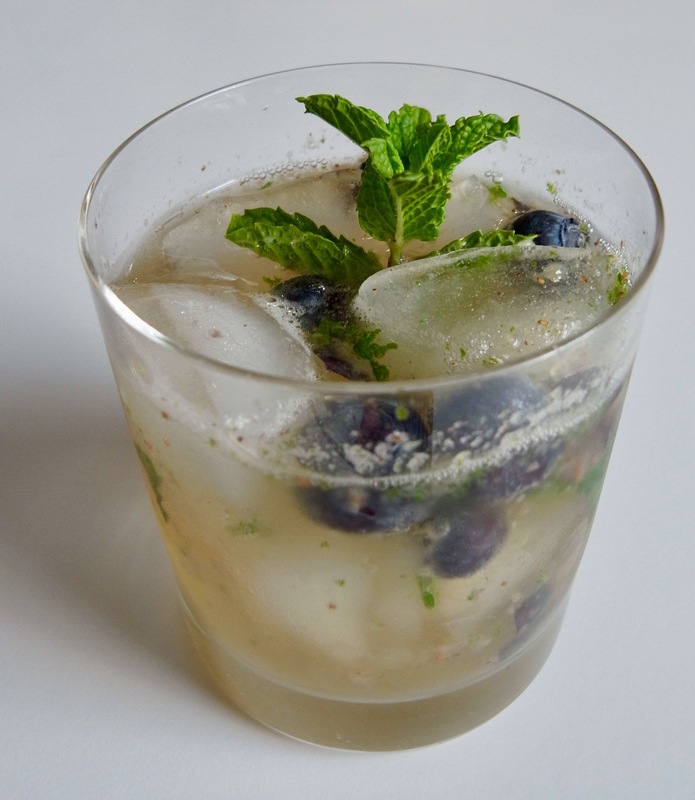 Garnish with remaining berries and a spring of mint. Enjoy on a hot summer day! 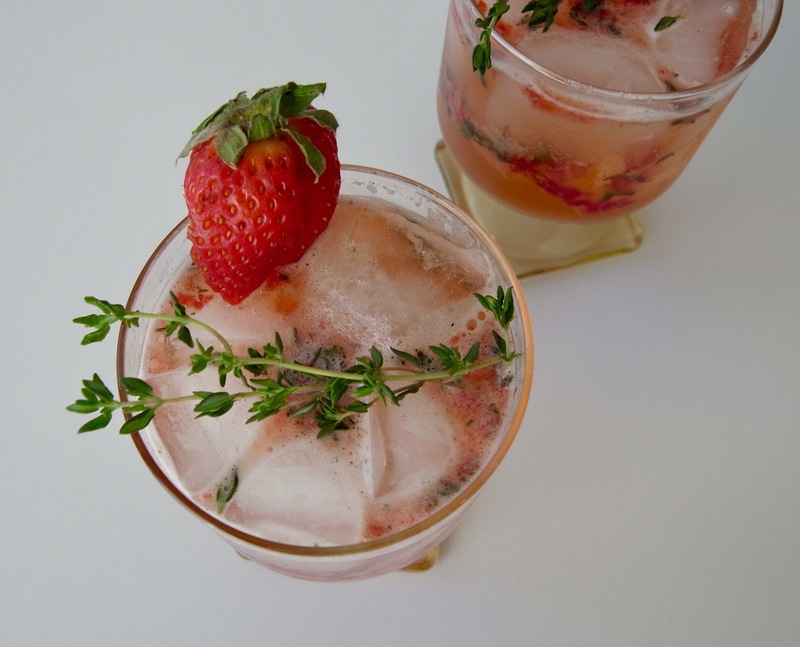 The second is a strawberry oregano mocktail. You can experiment with a few different kombuchas if you’d like, but I’d recommend a strawberry or honeydew. I found that the honeydew didn’t overpower the other flavors but left a little sweetness. The only thing I wasn’t super keen about the honeydew kombucha is that the particular brand I bought used artificial sweetener, stevia, to add more sweetness. Not super necessary in my opinion. Again, this recipe below is for one “cocktail” but can easily be multiplied for a larger pitcher. Muddle the oregano leaves and sugar in the bottom of a glass. The sugar will help in the process of tearing up and bruising the leaves as well as extracting the essential oils. Add the diced strawberry and continue muddling. Top with ice and pour in the kombucha. Give a little stir with a spoon to mix the contents. 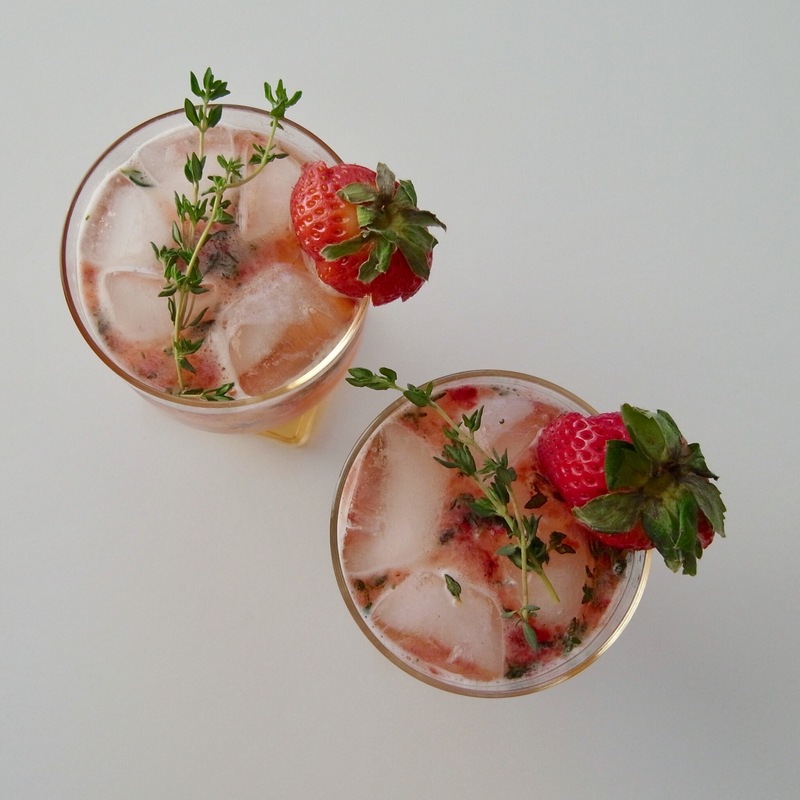 Garnish with remaining strawberry and a spring of oregano. Leave the fresh oregano in or over the glass as you drink to get a little more of that herby aroma. If you’ve never tried kombucha or kombucha in a cocktail or mocktail, I HIGHLY recommend doing so. The kombucha adds a nice fizz to any mixed drink and comes with a lot of potential health benefits. At least from my own experience. 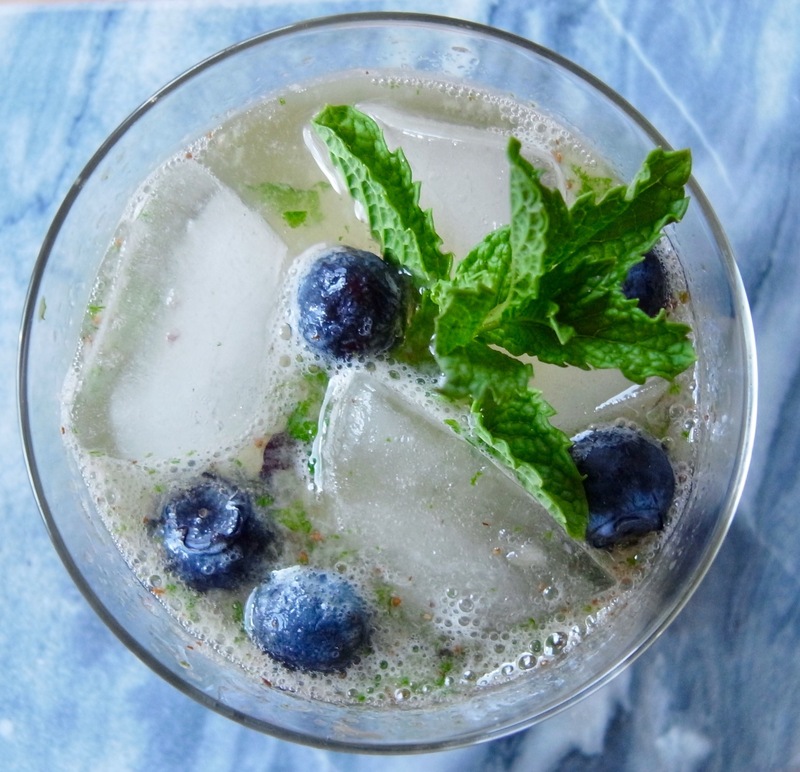 Tell me: What are some of your favorite summer drinks? Or what says summer in a glass? Scandinavia: We Went To Iceland! Full Life Nutrition & Wellness, LLC. I Started a Business! !